By now, it’s no secret how useful blogging is for businesses of any size. You need to give people a reason to not only visit your site, but to keep coming back to it. And the best way to do that is to consistently publish valuable content. The numbers bear this out, as companies with at least 16 blog posts every month receive about 3.5 times the traffic of companies that only publish four or fewer posts per month. So, you know your site needs a blog, but you probably already knew that. The challenge is building a bog that’s beneficial to your business. There’s plenty of competition out there (well over 440 million blogs, in case you were curious), and if yours is subpar, you’re just wasting your time. Just because there are so many blogs, it doesn’t mean you can’t be successful. Think of it this way: How many Italian restaurants are in your area? You probably go to more than one, right? Restaurant A might have a great recipe for pesto–one that can’t even be touched by the competition. Alternatively, you go to Restaurant B because you just have to have their eggplant. As an eCommerce marketing agency that has studied e-commerce giants like Amazon.com and Overstock, Inflow understands what does and doesn’t work. Over the years, the agency has had the opportunity to see which blogs do well, what makes those blogs succeed and where the unsuccessful blogs go wrong. By avoiding the common blogging mistakes and knowing how to create a great blog post, you can get much better results from your site. One of the first things you should understand, which many bloggers don’t, is that traffic alone doesn’t always equal success. It’s normal to focus on your blog’s traffic, especially in the early stages. Who wouldn’t want to have a large base of loyal readers? Referring to the restaurant example previously mentioned, you could be drawn to Restaurant A or B based on their website: thus, making the increase of traffic to their site still important. You certainly need traffic, but traffic means nothing if people just read your posts and bounce. What really matters is your conversions, and that’s why you should have a goal in mind for every blog post you write. Inflow is an expert on conversions, especially in the realm of e-commerce. For more conversion trends and takeaways, check out their annual Best in Class ecommerce research. 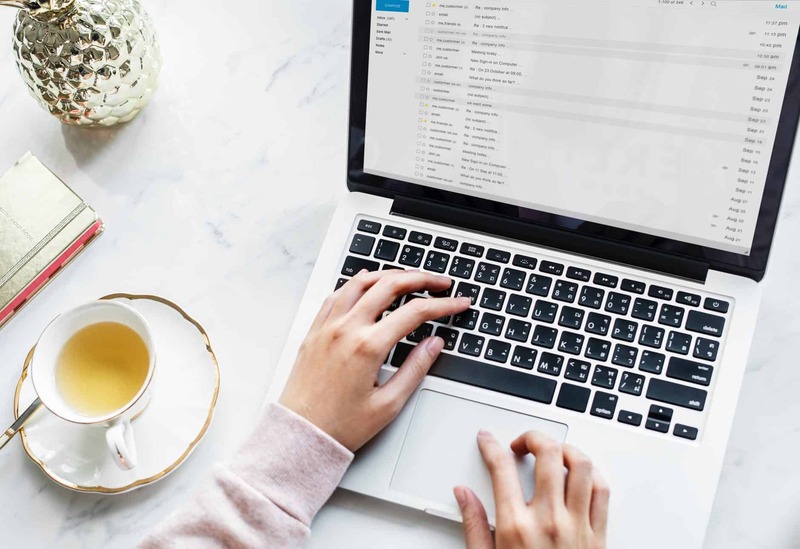 Asking readers to subscribe to your email list, so that you can pitch courses or other services to the most interested members of your audience. Building trust: Offer a free e-book or guide so that people can get to “know” you first. As trust builds, they’ll keep coming back to your site, anxiously awaiting your next word, sometimes even coming to the site to check that there wasn’t some post of yours that they missed. You may want to link this to your “subscribe to me” box as a sort of–ahem–bribe to sign. Writing posts that link back to one of your products. Some feel that long-form is preferable, since it keeps people on the website longer. People generally spend less than a minute on any website and they leave for all kinds of reasons, from slow download times to copy that just isn’t aligned with their needs. Providing it suits the niche, long-form, with a lot of photos and maybe even an infographic, can keep them on the site. Keep linking back to previous articles and they’ll spend even more time. How many words? That’s the great debate; some feel long-form is anything over 1,000 words, while other go to 2,000- plus words. It’s up to you, but don’t fill your copy with useless fluff just so you can reach that 2,000 mark. When Does It Make More Sense to Guest Blog? Although you’ll need content on your own blog, it often helps to publish guest blog posts on other sites. Bloggers are often hesitant to do this because they see it as a lot of work for a post that will go on another person’s blog. That’s the wrong way to look at it. When you guest blog, you can reach a larger audience and take advantage of the traffic another blog gets. Guest posts are a valuable marketing tool, and it’d be a mistake to pass them up. One blogger who spent five months publishing guest posts saw his traffic shoot up by 20 percent and his domain authority increase 5 points. Now that we’ve covered having goals for your blog posts and the importance of guest posts, we can get into the art and science (it’s a little of both) of crafting a blog post. The first big issue for bloggers is that they don’t handle SEO properly. Without optimization of every post, you’re missing out on visitors. While SEO itself is a huge topic, there are a few typical errors bloggers make that stand out. Look, I get it – bloggers don’t exactly light up with enthusiasm at the thought of choosing focus keywords. It’s not the most exciting part of the job. It’s an arduous, time-consuming process. But focus keywords are a crucial part of every post. If you target the right long-tail keywords, you can get your blog ranked high in the search results for terms people are actually looking for. If you don’t, your posts will rank for useless word combinations that two people search for every year. Alternatively, don’t hammer your copy with keywords! Sometimes using keywords too much can be just as bad as not using them at all, because search engines will catch on and it will hurt organic search–not to mention how stilted in will make your copy! Imagine you visit a new blog. You enjoy the content, but you notice that there’s no rhyme or reason to when the author publishes posts. Sometimes there’s just a day between posts, and sometimes there’s two months. Will you make it a point to check back often? If you’re like most people, the answer is no. Blogging cannot be something you do when you feel like it or when inspiration strikes, as you’ll get mediocre results at best. You need to treat it like a job and have a consistent posting schedule. Consistency lets readers know that if they keep coming back, they can expect new content. External links can be a good thing, but many people are afraid do do this. Just be sure to link it in such a way that the person can just close the story and get back to YOUR site! No matter your writing skills, writing for a blog is a completely different experience that requires its own approach. Just like with SEO, there are also all kinds of writing errors bloggers make. Now, this doesn’t mean typos or grammatical errors. Of course you want to avoid those, but proper grammar, spelling and punctuation are just the basics. These more advanced errors aren’t necessarily an indictment on your abilities as a writer, just things you need to fix as you adapt to writing for an online audience. Sitting at your computer and letting the words pour out of you may seem like a good way to write what’s on your mind, but in doing so, you’re ignoring how people usually read blog posts. How many times have you read a post only to say to yourself, ‘and I would care about this why? It might sound a little blunt, but the reader doesn’t care about you. They want to know what YOU can do to SOLVE their problem. If you don’t deliver, they’ll just move on. Permanently. The average reader scans. They don’t read sentence after sentence, in order, like they would a novel. It’s like how when you’re reading a textbook to study for a test, you scan for the key points and the information you need. The result is that people who come to your blog post will read an average of 20 percent. To make your blog useful to this audience, your posts must be scannable. You need to have different sections and clearly indicate with subheadings what each section is about. The best bloggers have their own voices that come through in every post. They’re telling a story. They’re not afraid to show you their personality and even throw in some humor every now and then. A common problem, especially among beginner bloggers whose writing experience consists of school papers, is stiff writing. It’s a more generic style of writing without much life to it. You make your point in a straightforward format, and that’s that. Your middle school English teacher would probably appreciate it, but an online audience won’t. Here’s the good news: this is the mistake that you’ll have the most fun correcting. The realization that you can write the way you want is freeing. If you want to joke around or make references to your favorite movies, go for it. People regularly visit the blogs that provide value, and the two ways you can provide value are through information and entertainment. Ideally, your posts will have both, but helpful information is what’s important for most blogs. Make sure you’re not writing blog posts just for the sake of it. Every post should help the reader in some way.